Well the rain has been nice. My gauge had finally made it to 3/4 of an inch approximately and it has been slow so it has soaked in well which we needed. We had a gloomy start to the day but actually got to see the sun at times. My image for today is of a friend's Sea Oats grass. I loved this grass so much I bought some this spring to try and start at my house. 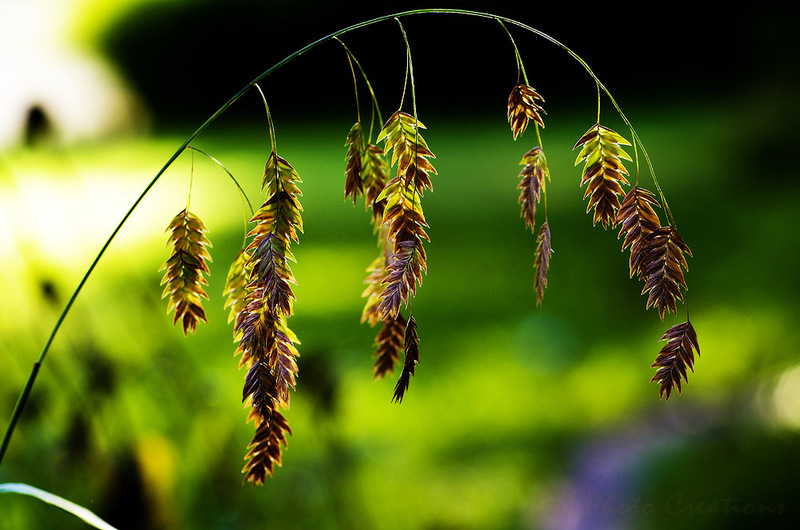 I just love how the seed heads catch the late afternoon sunlight and the arch of the grass.